Is that the end of that? 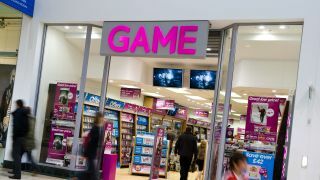 Update: Game has begun closing stores as it enters administration, and has announced that it can no longer offer refunds, exchanges or redeem reward points and gift cards. It is estimated that 277 stores will be closed immediately with some shutting their doors today - MCV has a comprehensive user-generated list of shops that have already ceased trading - and around 2119 people are set to lose their jobs across the company. Online sales may be affected by the events over the next few days (the website is down at time of writing) and the Group has taken to Facebook to confirm that refunds, exchanges, Reward Card points and gift cards can no longer be accepted. Unsurprisingly, Game will not be accepting pre-owned software or hardware "at this time". Original report: The latest reports suggest that Game has been unable to find a buyer to stop it going into administration. This means that 6,000 jobs are now in question, with Sky News reporting that the administrator will soon announce which of Game's 600 high street shops will be closed. However, PwC, the company sorting the whole procedure out, is expected to ensure that all staff are paid any wages owed at the end of the month, reported to total around £12 million (about $19 million). There are still some potential buyers eyeing Game with interest, although a last minute bid failed to materialise. However, an American games retailer called Gamestop, a group of businesses including the Royal Bank of Scotland and OpCapita, which owns Comet, are all still reportedly sniffing around. Buyers' interest may be piqued by a slimmed-down operation after the store closures are announced.